You can customize with plug-ins to enhance your Internet experience. But sometimes certain plug-ins can cause Firefox to crash. 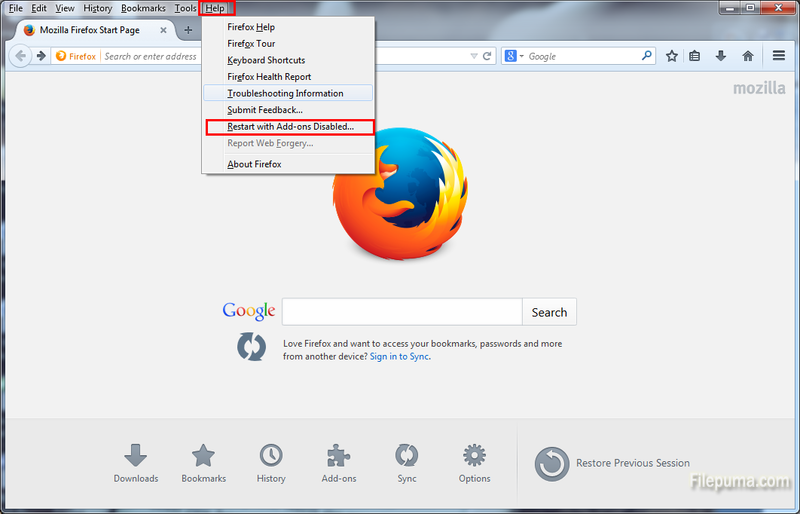 Then you may need to run Firefox in safe mode and update it or remove it to work around this problem. 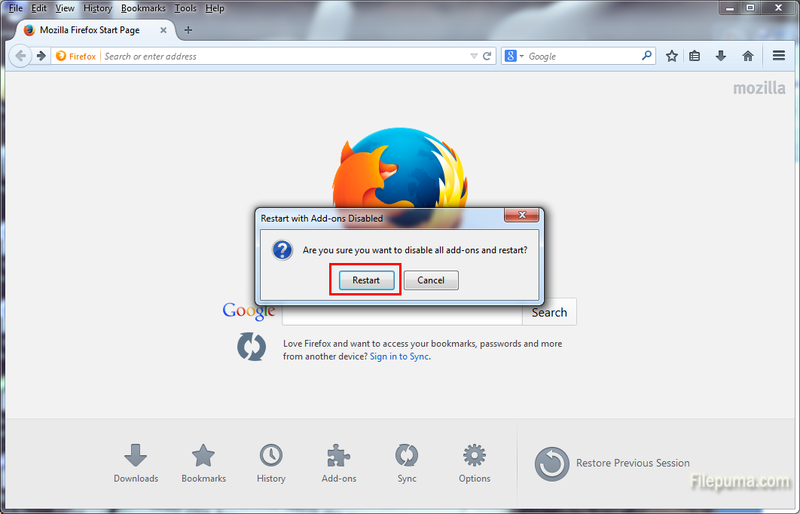 Here is the instruction to let you know how to repair a Mozilla Firefox crash. 1. Click “Help” on the menu bar, and then click “Restart with Add-ons Disabled” from the drop-down menu. 2. Click the “Restart” button on the pop-up window to disable all add-ons and restart. 3. 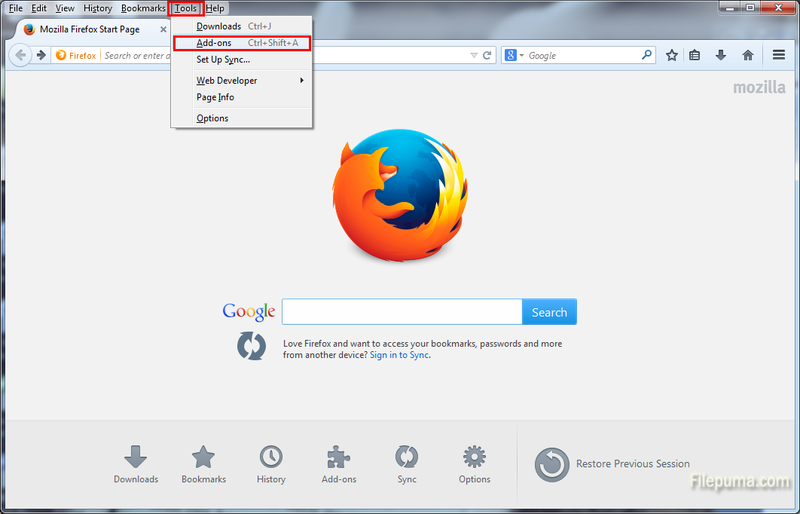 Click “Start in Safe Mode” to open Firefox in safe mode. 4. 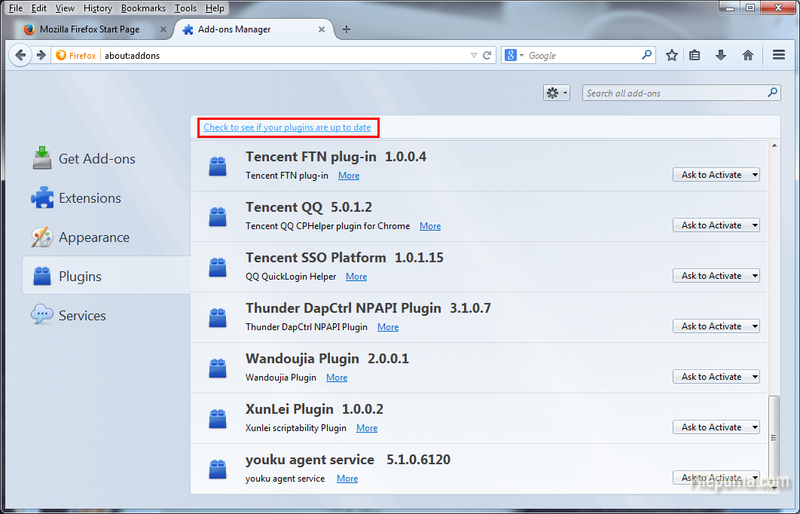 Click “Tools” on the Firefox menu bar and choose “Add-ons” from the drop-down menu. 5. 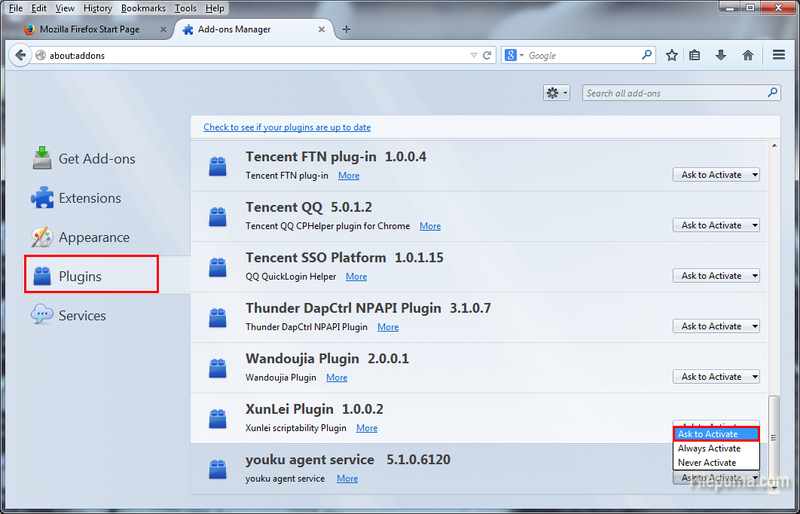 Click the “Plugins” tab on the left side of the window. Click the “Never Activate” button for each plug-in displayed on the next screen. Close and restart Firefox. Browse a few websites and make sure your browser is working effectively. 6. 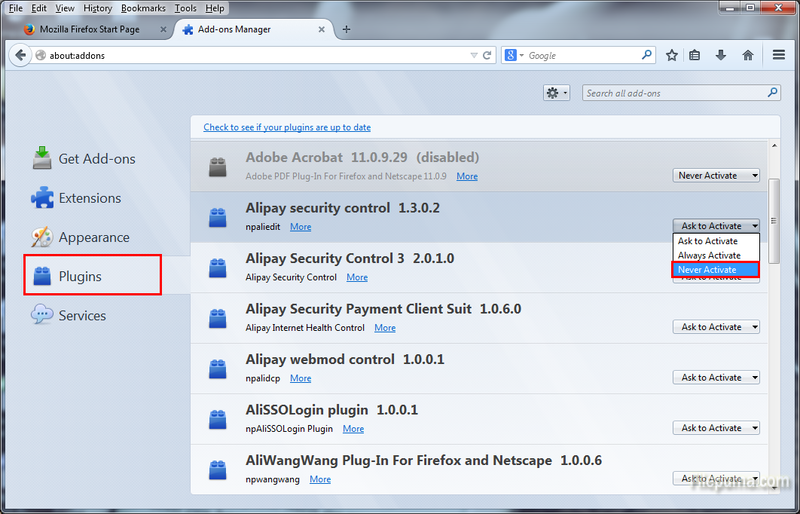 Return to the “Plugins” tab and click the “Ask to Activate” button for the first plug-in. Use Firefox for a day or two. If you are not experiencing any crashes, repeat this process and enable another plug-in. Repeat until you identify the plug-in causing Firefox to crash. 7. 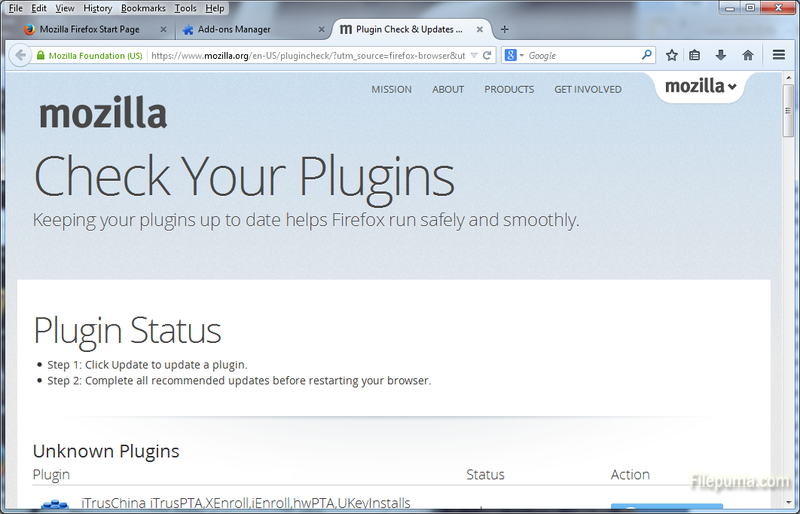 Click “Check to see if your plugins are up to date” to update the plug-in causing Firefox to crash. Then your problem can be resolved.